Has anyone attempted to convert a Core to V-Slot? Im thinking of giving it a go. Id only need three rails for the X and Y axes. So heres a snap shot of what ive designed so far. Ive taken inspiration from the C bot and D Bot printers, so credit to those guys! That is a fantastic looking design for someone coming from a normal Core. 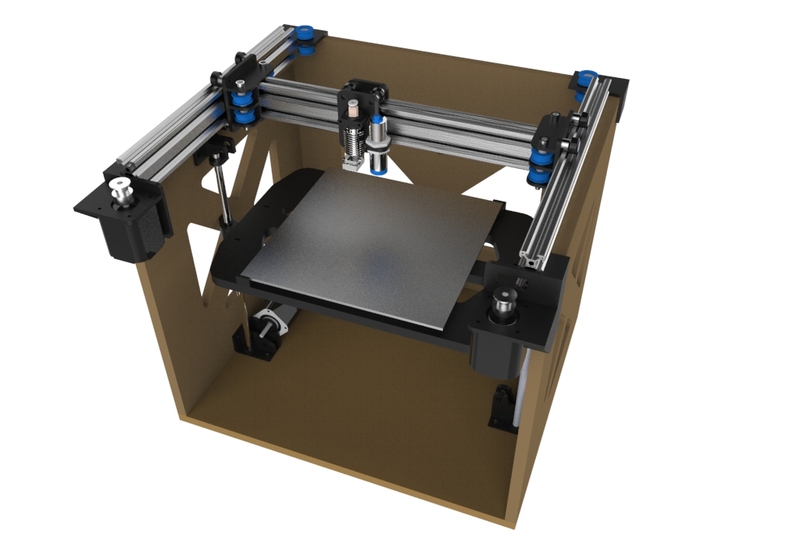 Do you have the 3d printed parts in Onshape by chance? Thanks. Its all in solidworks at the moment but I will release them once ive finalized the design. Some updates in the photos. The action is really nice, smooth and solid. Should have made it this way in the first place. Looks awesome but why not go for linear rails? 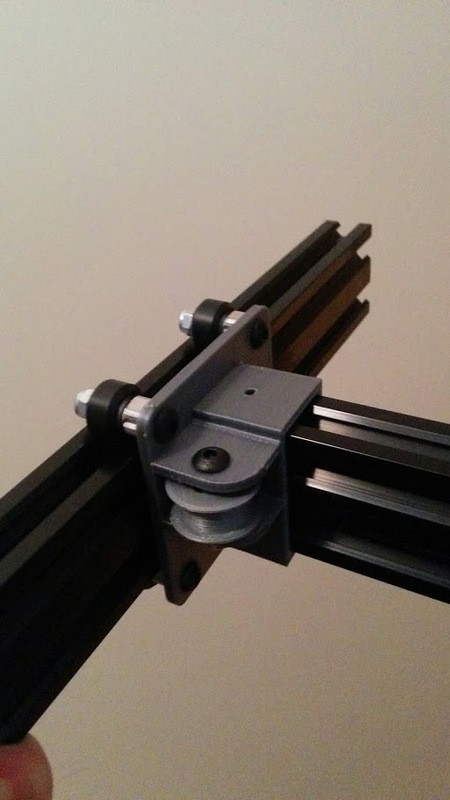 I did have linear rails originally, but my rods were measuring about 7.92mm and so the linear bearings were sloppy and noisy (cheap). I also think the v-slot mechaism with eccentric nuts provides a better system of adjustability to get the smoothest and rigid operation. I was hoping that it would be a lot quieter, but its only about 30% quieter i think, but i have yet to turn down the stepper drivers voltages which i can do as the x and y is so much smoother and easier to move. I also like designing and tinkering so it was a bit of a project as well. Very happy with the result and i think the quality of my prints is much better. Edited 1 time(s). Last edit at 04/21/2016 03:05AM by ixlix. No this sounds like a very good project. I ask as I am enlarging a smartrapcore alu (from 20x20 to 20x30 bed) machine and initially I am going to do it with my 8mm smooth rods. But if they have too much deflection I will change to either larger rods 10/12mm, linear guides or maybe even your v-slot system. It only requires 1m of v-slot, so about $30 (aus) for that, and i bought all the other bits such as wheels from aliexpress. I think it would total about $100 Aus. Im really seeing a deifference in the print quality though, such as the attached photo. My pillars have never been so uniform and neat. Edited 1 time(s). Last edit at 05/04/2016 07:17PM by ixlix. Hi. I am very interested in your v slot design. But one question. why did you choose 20x40 v slot ? Do you think this would have worked with 20x20 ? or is it just better for the wheels to have 20x40 ? I initially wanted to use 20x20, but it was out of stock at the aussie makerstore. Also with the design of the belts being on different planes, you need two channels to run the belts in which you can only get using 40x20. 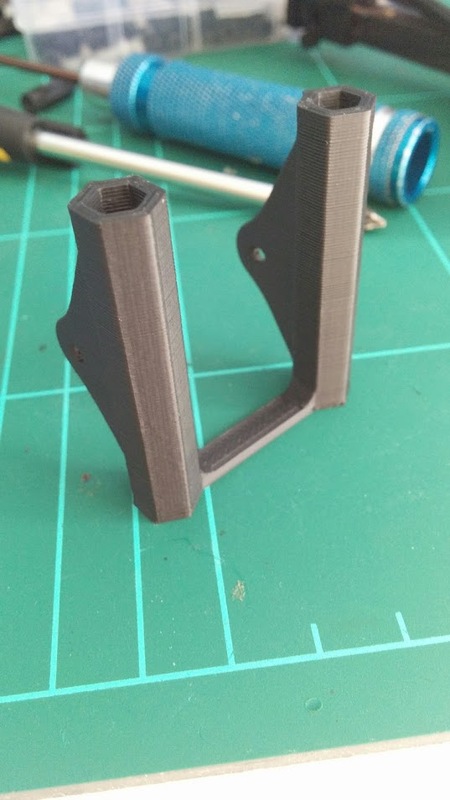 I can release the files on thingiverse if you're interested. Edited 1 time(s). Last edit at 05/19/2016 12:42AM by ixlix. Any chance you have a "releasable" version on Solidworks or Onshape? It looks really interesting and in my head I'm looking at scaling it up larger considering the V slot rails should hold the weight across the travel distances. 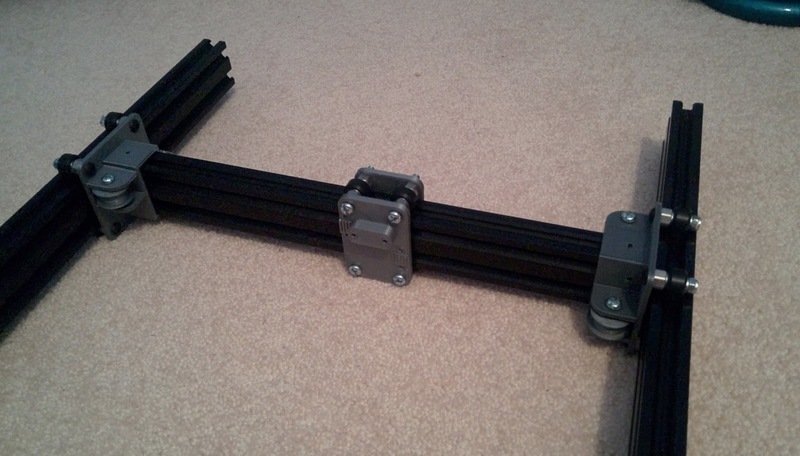 - Im not using the z axis i have modelled in the assembly and I couldnt get it to slide smoothly. Im using the one listed below. - Ive found the belt clamp listed below is the best, and keeps great tension. - You need to get some t-slot nuts to attach the rails to the box. Enjoy, feel free to tweak, but this can not be distributed for commercial gain etc etc. Edited 1 time(s). Last edit at 06/08/2016 11:37PM by ixlix.